1. von Wedel, R.J., Mosquera, J.F., Goldsmith, C.D., Hater, G.R., Wong, A., Fox, T.A., Hunt, W.T., Paules, M.S., Quiros, J.M. and J.W. Wiegand (1988) Bacterial Biodegradation of Petroleum Hydrocarbons in Groundwater: In Situ Augmented Bioreclamation with Enrichment Isolates in California, Water Science Tech. 20 (11/12): 501‑503, Int'l Assoc. Water Pollution Research, U.K.
2. 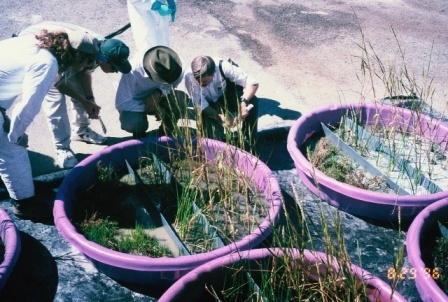 McGowan, G.T., Volmar, J., and von Wedel, R. (1997) CytoSol Process: Cleaning Oiled Marsh Plants with a Vegetable-Based BioSolvent, 5th International Conference on the Effects of Oil on Wildlife Proceedings, California Department of Fish and Game, Oil Spill Prevention & Response. 3. von Wedel, R.J. (1998) The CytoSol Process: Cleaning Oiled Shorelines with a Vegetable Oil Biosolvent, Port Technology International, Vol. 7: 209-214. 5. von Wedel, R.J. (2000) CytoSol – Cleaning Oiled Shorelines with a Vegetable Oil Biosolvent, in Spill Science and Technology Bulletin, Vol. 6, No. 5/6, pp. 357-359, Elsevier Science Ltd., England. 6. von Wedel, R.J. (2004) Bioremediation: Waste Equals Food, in Nature’s Operating Instructions The True Biotechnologies, K. Ausubel & J.P. Harginies, Eds., Sierra Club Books, pp. 42-49. 3. von Wedel, R.J., Hater, G.R., Farrell, R. and C.D. 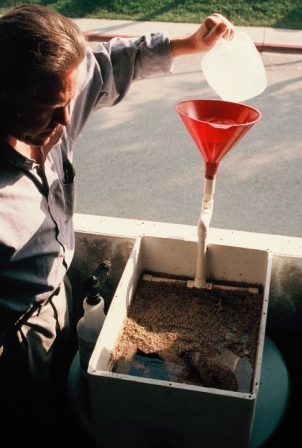 Goldsmith (1990) Excavated Soil Bioremediation for Hydrocarbon Contaminations Using Recirculating Leachbed and Vacuum Heap Bioremediation, Air & Waste Management Assoc./EPA Hazardous Waste Treatment of Contaminated Soil Conf., Cincinnati, OH Feb. 5‑8, 1990. 5. von Wedel, R.J. (1990) The Microbiology of Bioremediation: From Laboratory to Field, Session Chairman, International Biotechnology Expo and Conference, San Mateo, CA Oct. 23‑25. 6. von Wedel, R.J. (1990) Augmented Bioremediation of Excavated Soil Contaminated with Petroleum Hydrocarbons, Superfund'90 HMRCI Conference, Biotreatment Session, Wash.,D.C., Nov.26‑28. Numerous presentations at conferences in US and Europe on the development and field testing of the CytoSol BioSolvent for cleaning shorelines and marine or aquatic ecosystems contaminated with spilled crude oil. von Wedel, R.J. and Aghighi, D. (1987) Technical Evaluation and Bioreactor Design for Conversion of Microbial Airlift Fermentation Technology to Mammalian Cell Culture Applications, Final Report for Maschinenfabrik Andritz AG, Graz, Austria. von Wedel, R.J., Subramanian, K., and Saxena, V. (1987) Radial Flow Bioreactor for Anchorage-Dependent Cells, Final Report for NIH Small Business Innovation Research project granted to Sepragen Corporation, San Leandro, CA. 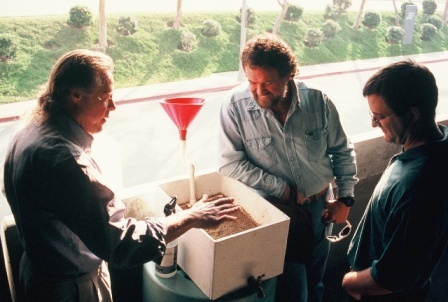 von Wedel, R.J. and Hater, G. (1990) Soil Bioremediation using Recirculating Leach Bed Technology, Report generated for Sybron Chemicals and Airborne Express, Oakland, CA. von Wedel, R.J. (1992) Soil Bioremediation Treatability Study, Report for Western Digital Corp., Ponce, P.R. and The Pacific Environmental Group, Santa Clara, CA. von Wedel, R.J. (1992) Bench-Scale and Pilot-Scale Biotreatment of Phenol-Contaminated Water Using Fixed Film/Suspension Bioreactors, Report for Unocal Refinery, Rodeo, CA and Erickson Environmental, Benicia, CA. Additional peer-reviewed publications that address wetlands and oil spills from Dr. J. A. Nyman’s research at Louisiana State University. Nyman, J.A., P.L. Klerks, and S. Bhattacharyya. 2007. Effects of chemical additives on hydrocarbon disappearance and biodegradation in freshwater microcosms. Environmental Pollution 149:227-238. Klerks, P.L., J.A. Nyman, and S. Bhattacharyya. 2004. Relationship between hydrocarbon measurements and toxicity to a chirinomid, fish larvae, and daphnid for oils and oil spill chemical treatments in laboratory freshwater marsh microcosms. Environmental Pollution 129:345-353. Bhattacharyya, S., P.L. Klerks, and J.A. Nyman. 2003. Toxicity to freshwater organisms from oils and oil spill chemical treatments in laboratory microcosms. Environmental Pollution 122:205-215. Pezeshki, S. R. et al 1995. Removing and Saving Oiled Marsh Using A Shoreline Cleaner. Proceedings of the Oil Spill Conference 1995. 203-210. Copyright (c) 1986-2009 CytoCulture International, Inc. All rights reserved.